To provide continuing professional development seminars that enhance and accelerate the knowledge and skills of builders and allied building professionals in British Columbia. 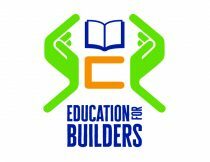 Bookmark "Upcoming Seminars for Builders" to plan your CPD Training! Copyright © 2019 Smart CPD Solutions. Powered by WordPress. Theme: Spacious by ThemeGrill.